Average seeing and transparency occurred during the entire observation time. I was using a 6 mm eyepiece to get the magnification up to 241x. The color version was made indoors after the graphite eyepiece sketch. The north polar cap was small and clearly visible. Mare Acidalium appeared very dark and Niliacus Lacus appeared somewhat darker than during my observation one week ago. 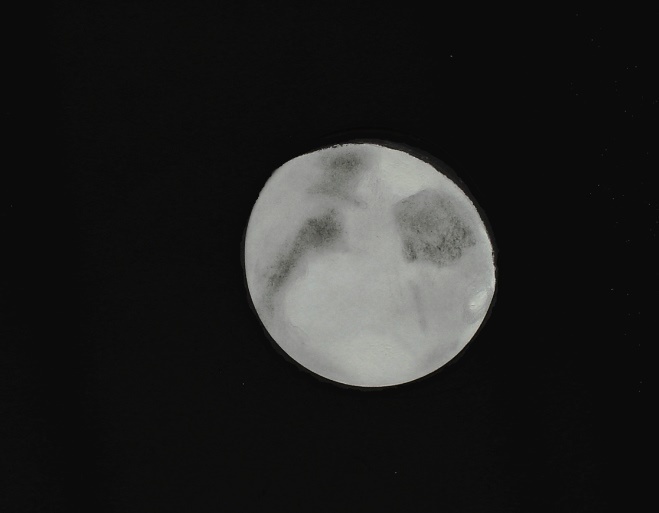 Sinus Meridiani, Sinus Sabaeus and Margaritifer Sinus were all clearly visible. Clouds were visible over Aeria and the parts of Syrtis Major just visible at the preceding limb. Clouds also covered Tharsis. This is an eyepiece sketch made with a HB graphite pencil, blending stumps, White Pearl eraser on white sketching paper and assorted colored pencils. 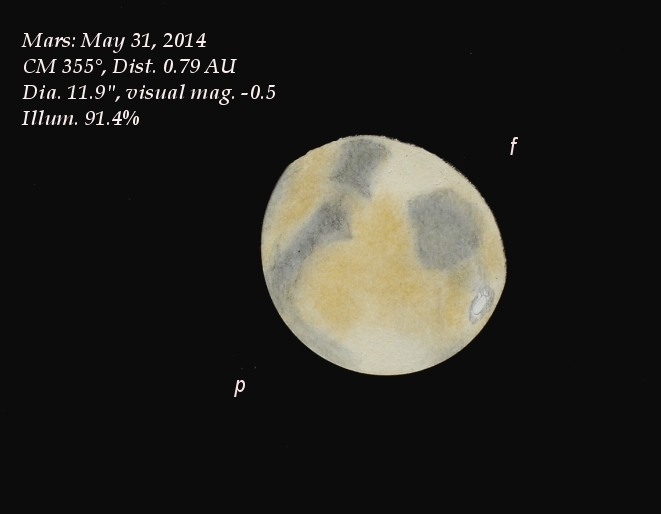 Enjoyed your sketch of the part gibbous Mars. The colored version really make the sketch pop. Always nice to see something from your hands! Best to you in your observing and sketching.